I spent 6 weeks traveling throughout central California, mostly around San Francisco’s Bay Area (including the incredible Point Reyes National Seashore) and there were a few critically important items I used while there while I camped, hiked, climbed, and biked around San Francisco. They were (for each of those activities, respectively) the MSR Hubba Hubba NX 2, Arc'teryx Rho, Thule Parkway 4 Bike Rack, and Scarpa Boostic Climbing Shoes. There’s no two-person tent I’ve enjoyed more than the Hubba Hubba. It is, without question, one of the easiest, best tents to set up. It is light (3 lbs. 7 oz. or a lightweight option of 2 lbs. 2 oz. ), it is small (packs to 6 in. x 18 in. ), and takes only a couple minutes to set up. The width (50 in.) 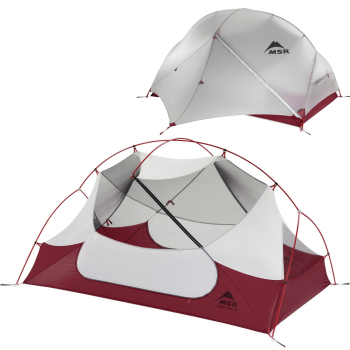 is perfect for two people, whereas I’ve been in some 2-person tents that are so narrow you’re afraid you’re bumping into your neighbor’s arm if you so much as twitch. The highlight for me for this tent will always be the thin black mesh. Lot’s of tents have it, but for my money, the Hubba Hubba’s is the best. Why’s that beneficial? I’ll tell you. Because on a clear night, when you know it’s not going to rain, you leave off the rain fly and you can see the stars like they’re glowing stickers stuck to the ceiling above your childhood bed. This piece is easily the most versatile piece of clothing I own, besides probably Exofficio underwear. 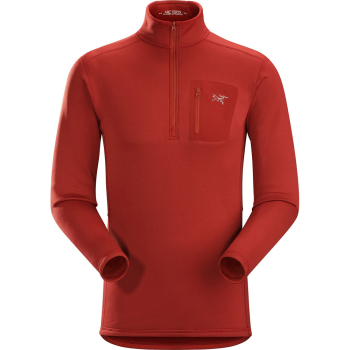 I have used it as a warmth layer in a layering system while hiking in the woods, as a top piece for warmth when climbing, as a sweater worn with slacks and a button up, and as many other things. It’s made of Polartech Power Stretch, which is incredible at being both warm and at wicking moisture. It manages temperature so well it can be worn when it’s just barely cool and when it’s quite cold—keeping you comfortable regardless. It stretches to move with you in any environment. On a chilly night, on a cold rock face while on rope, on an outdoor wedding dance floor, and more. I’ve been biking across towns for years, but sometimes you don’t have time to make it all the way across town in time, though you still want to bike. And sometimes you want to bike quite far from where you live. This bike rack has held multiple bikes at once, including a tandem! It is easy to set up, strong, and very quick to use. Once you lift the bike to the rack, you simply stretch over the rubberized support, and then lock if you wish. That’s it. Then you’re good to go. 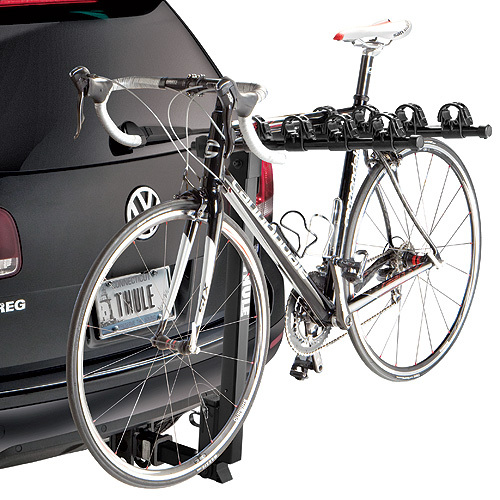 A bike rack that looks great, is strong, and easy to use, what more could you need? All feet are different. So are shoe brands. As it comes to climbing shoes, each brand has it’s own fit, it’s own feel. 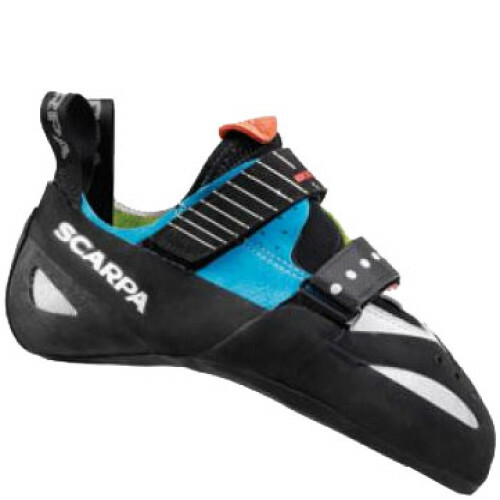 5.10 is different than La Sportiva, is different than Evolve, is different than Scarpa. Of those, Scarpa fit my feet the best. Their shoes help my feet feel snug and strong without feeling terribly uncomfortable. The leather is comfortable and the rubber sticks well—for my money, as good as any. I just feel comfortable in them and love climbing with them. There just so comfortable. But, ya know, find the ones that fit your feet best. When you’re headed somewhere to explore this summer, whether it’s near your home or far away, find the pieces that are best for you and boast them proudly! You’ll be glad you did.